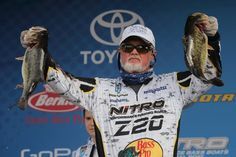 1 – River2Sea 5-pk of Rig Walker 100 in Ghost Shad – available on the River2Sea website for $7.34. 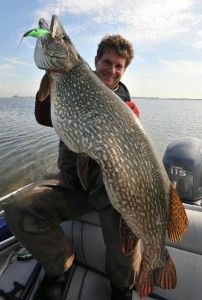 It seems that December’s box was a well thought out package for anglers interested in trying out something new. This month’s box from Tackle Grab sets you up nicely to try an A-rig. These River2Sea Rig walkers are perfectly matched for the Jerky J School rig that also came in the box. With a nice paddle tail and a silver finish these rig walkers are perfect for targeting clear water smallmouth schools offshore. At 3/8-oz each, 5 of them will put you at just under 2 ounces, so make sure you throw this setup on a good swimbait rod or something similar. 2 – Castaic Jerky 5-wire J School Rig in Tennessee Shad, available on Tacklewarehouse.com for $12.99. 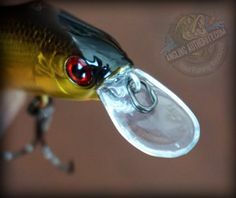 As mentioned, this item is perfectly matched with the rig walker swimbaits. 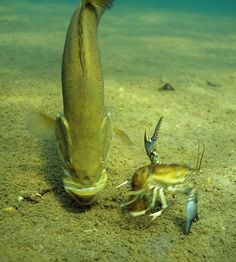 If you don’t want to use all 5 arms (due to fishing regulations in some areas) you can put a blade on the center arm to lower your hook count. 3 – Lockett lures – 4-pk of 4″ Fatties in TG Christmas – available on the Lockett Lures Outlett website for US$19.99 for a 25-pk, and on sale for $5.99 (pro-rated to $0.96 for a 4-pk based on the sale price). This is a great bait for cold water bass, or when you need to go finesse. With tonnes of anise scent and really durable plastic, the fatties make a great addition to your arsenal. 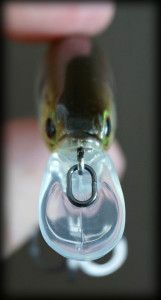 Lockett Lures has been in several of our boxes this year; this familiar bait puts a smile on my face. The color included in this month’s box is very useful as well. Looks like I’ll be adding this bag to my panic box! 4 – The Rod Glove Fishing Rod Sleeve for casting rods up to 7’6″ – available on Tacklewarehouse.com for $5.99. Who doesn’t need another rod wrap? Rod Glove makes some great wraps and this will give anglers a chance to try one out. This wrap is perfect for my rod and fits nicely. Rod Glove wraps prevent tangles and protect your line guides and finish from getting damaged. This is especially useful when you’re cramming them in a rod locker! 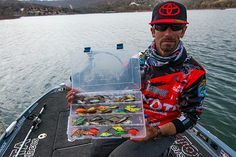 Total box value =US $27.28 + 150 Tackle Grab points. The January Tackle Grab box will ship soon, so stay tuned for that update in February!